The genetics in our hunting area are some of the largest found any where in both body size and skull size. In the last two years we have successfully entered three cougars into the Boone and Crockett’s all time record with skulls exceeding the 15″ mark. The average length of our cougar hunts is around 4-5 day’s but we offer 10 day hunts to allow us to capitalize on the changing snow conditions. 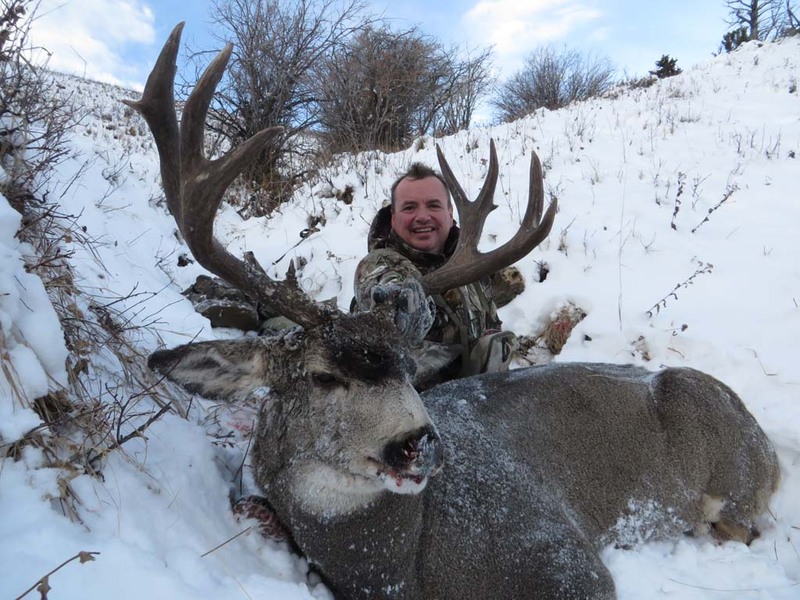 The terrain we hunt is very accessible for both trucks and snowmobiles allowing us to provide quality hunts for a wide range of physical abilities. There is nothing that compares to following the sounds of well proven hounds as we hunt the most elusive predator in North America. 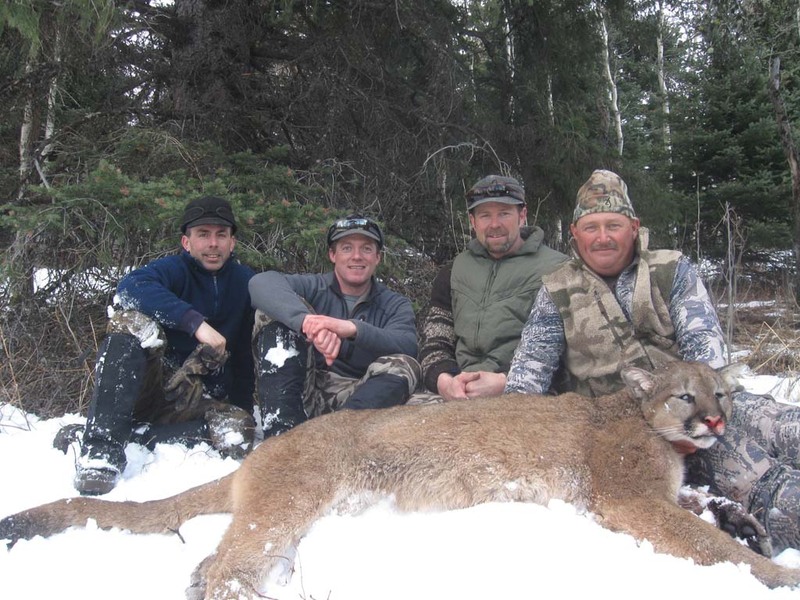 We put great effort to ensure all our cougar hunts are a comfortable, thrilling and memorable hunt. 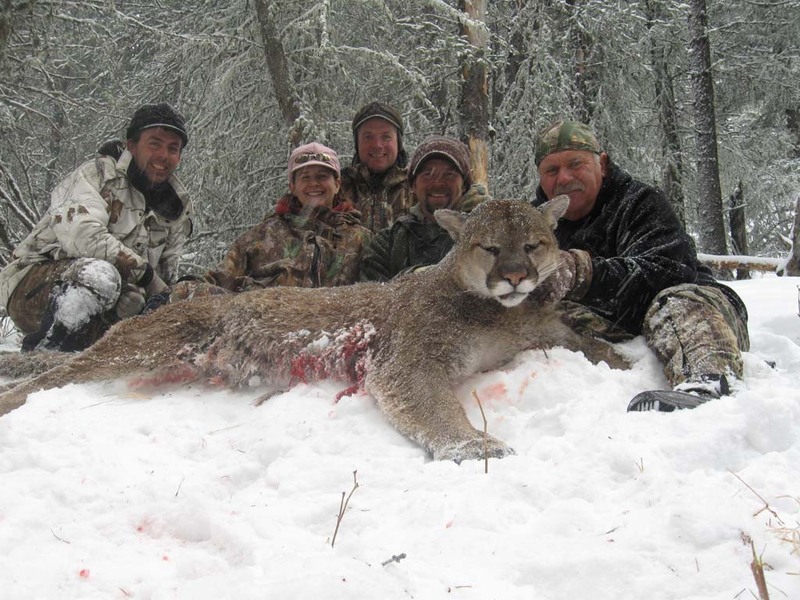 Myself & my wife, Angie are directly involved in all aspects of the hunt making sure that every detail of your cougar hunting experience is looked after. 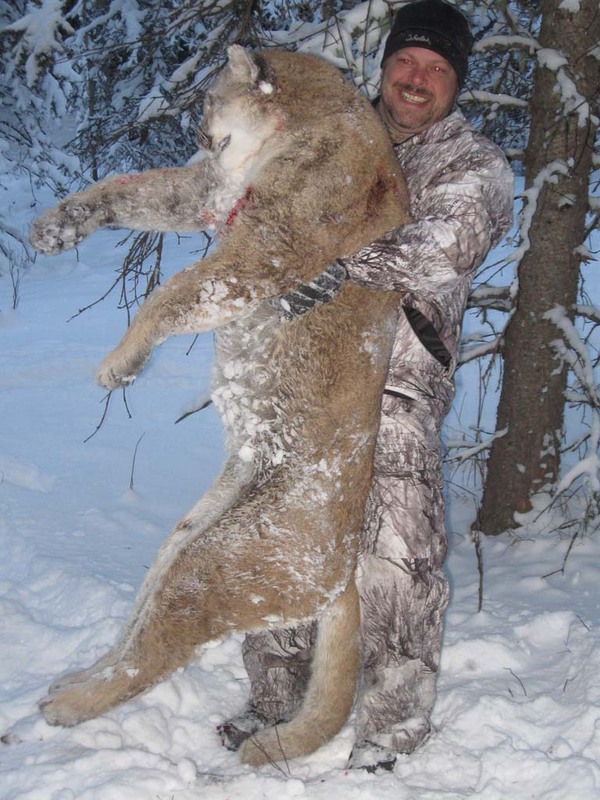 I provide you with over a decade of guiding experience to help you take home the trophy cougar of a lifetime.